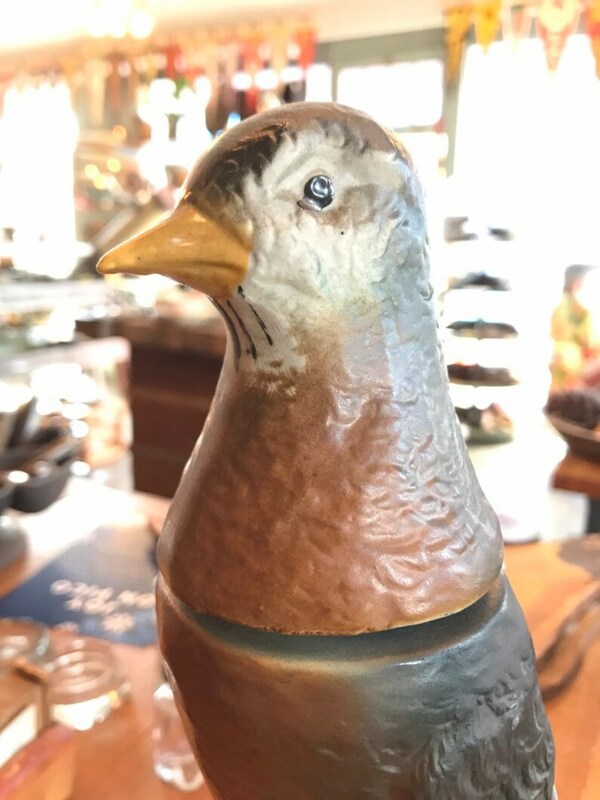 Jim Beam 1969 whiskey decanter in the form of a Robin. Trophy series. Kentucky straight. 13” tall. Produced by the Regal China Corporation with design advice from Jim Lockhart, the famous nature specialist.